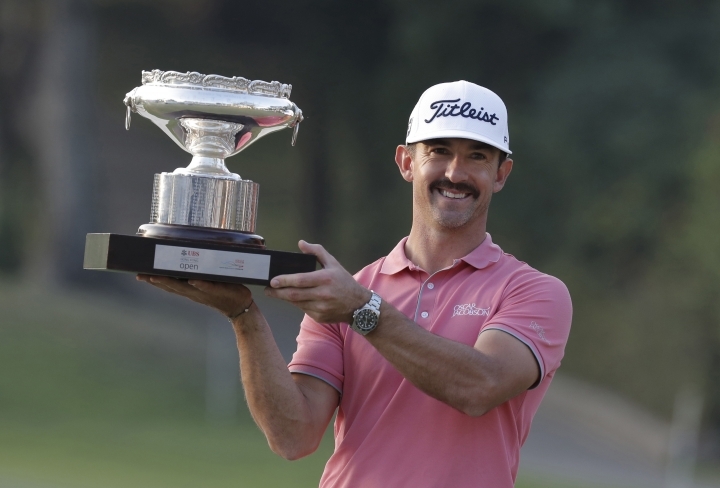 HONG KONG — Australia's Wade Ormsby won the 2017 Hong Kong Open in dramatic fashion for his first European Tour win on Sunday. 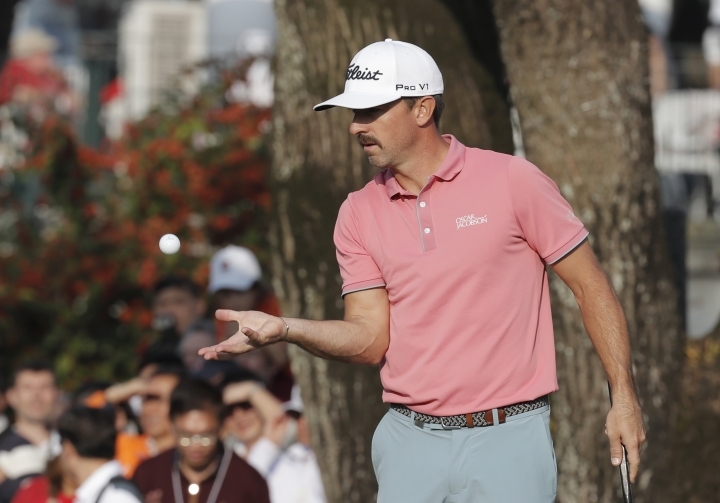 Ormsby was 12 under and two shots ahead heading into the last, but bogeyed the final hole to head into the clubhouse at 11-under par, even with Rafa Cabrera Bello who was playing in the group behind. Cabrera Bello, who started the day in the final pairing on 9 under, got off to a rocky start with a bogey on the third hole. He bounced back on the back half of the course to close on the leaders. A birdie on the 17th had him draw level with Ormsby for the lead. A par on the 18th would have forced a play-off but his second shot into the bunker made for a difficult putt for par that the Scottish Open champion missed, handing the win to Ormsby. "Feels amazing, mate. Just trying to hold it together here. Yeah, pretty stoked. Well, not pretty stoked: Very stoked," said the 37-year old Ormsby. "I played solid all day. Just tried to keep pumping it out. Hit a lot of greens. Putter wasn't quite behaving but just played solid. Sometimes that's good enough. A bit disappointing to three-putt the last, but it's a tricky pin down there. Anyway, good enough." 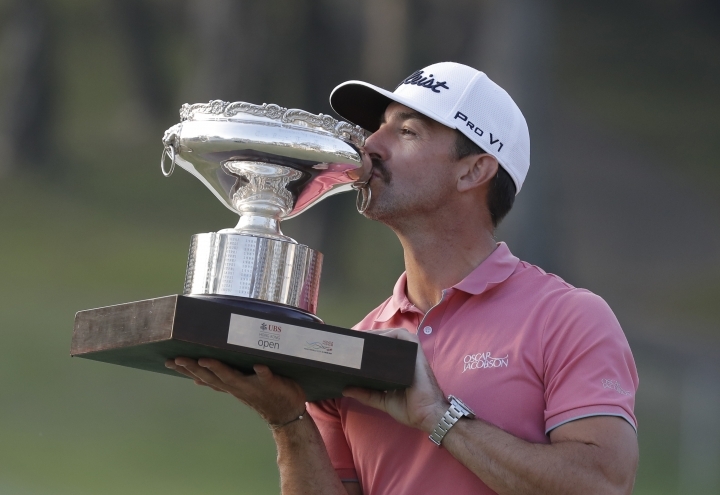 Ormsby shot 68 for an overall total of 11-under 269, while Cabrera Bello finished in a group of four tied for second after a 69, finishing a stroke back with Americans Julian Suri (66) and Paul Peterson (67) and Sweden's Alexander Bjork (68). "It's been a great week again. I came from playing great last year, I finished second here. 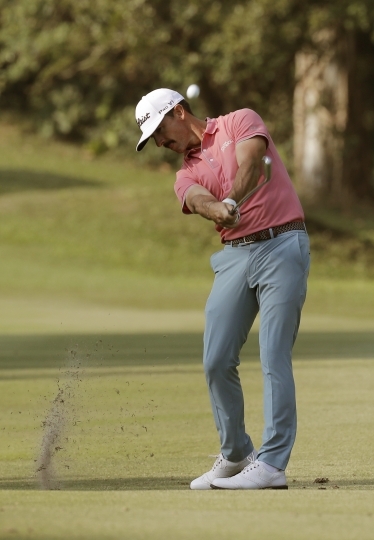 I felt that I give myself a really good chance coming in today again," said Cabrera Bello. "I've been battling 'till the last hole. There's not really much more that you can ask yourself as a player than to have a chance coming up the last. The coin just didn't fall my side this time." Race to Dubai winner Tommy Fleetwood of Britain finished sixth on 9 under 271. Previous winner Miguel Angel Jimenez, who shot the lowest round of the tournament with a 63, finished on 8-under 272 to tie with early pace setter S.S.P Chawrasia of India and American Micah Lauren Shin.